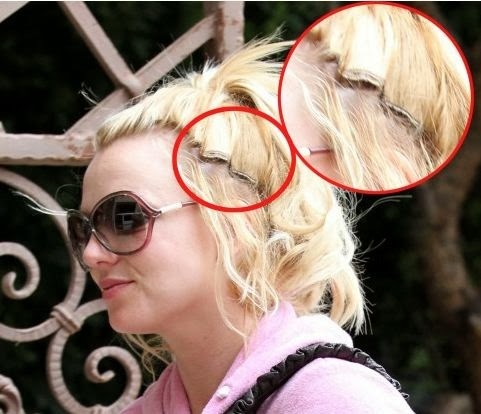 Pet Peeves: Pet Peeve #58: Celebrities with bad weaves or wigs. I believe we all agree that bad weaves or wigs on anyone are horrible to witness. For some reason they have become more noticeable over the years. It is as if your weave or wig will scream, “I am not her real hair”! Like most things in life, if you pay more for a product, you receive a better quality. Therefore, we understand everyone cannot afford a decent discrete wig or weave. Very understandable. However, celebrities should have their wig or weave right at all times. There is really no excuse for making millions of dollars a year and walking around with some broke, busted and disgusted wigs or weaves. For celebrities who live on the west coast, I am holding you to a higher level of accountability because Kim Kimble is within your reach. NO EXCUSES! You cannot walk around with $1,000 shoes, $5,000 outfit and some tacky wig or weave looking like you got it install in someone’s basement. My cry to all celebrities with this issue is to stop bringing down the family structure and get your weaves or wigs tighten. Just Stop it! Ugh!